Why set goals? I got this question from a friend. It didn’t previously occur to me that there is a lot of misunderstanding and confusion about goals. People just don’t know why they set goals and what the benefits are. If they do it, it’s because someone told them it is important. But do you know why? To me, goal setting is a natural thing to do, but even I find a great motivation to “remind” myself why is it important to set goals. it’s pretty good to know why set goals and what the benefits are. This is a list with 9 of the core reasons and the above benefits are the by-products from these core reasons. Some may come as a surprise to you. This may become a long list, but I will try to make it short and I will start with some “WHYs” that are not so well known. When you set goals you become taller, fitter and with more beautiful hair (even if you are bald). That may be a joke, but something very interesting happens when you start to talk about your goals. I have noticed this several times. If you really set goals you are passionate about, you become more attractive. You light up, you start to talk with passion and interest. You have your strong position and reasons why your goals are important. Martin Luther King was named as one of the best speakers of all time and his speeches were analyzed by many experts. They tried to discover the secret techniques that made him so charismatic and influential. How was he able to attract so many people to follow him? Hist technique was pretty simple: set big goals you are passionate about. If you have big goals, this affects your thinking and respectively actions. It affects the way you speak, it affects what clothes you put on, it affects the way your eyes look, it affects even the way you shake hands. It affects the energy you radiate. This is contagious. People notice it right away. People that don’t have goals are often lethargic, bored or just look passive. You wouldn’t want to be with a person, who looks like a dead horse, would you? So, don’t be that horse. People without goals die sooner. He was a holocaust survivor and noticed something rather scaring when he was in the death camp of Auschwitz. He could predict who will soon die. When a prisoner stopped getting out of bed and the Nazis had to force him out of bed, this prisoner would die soon. These prisoners didn’t see a point in doing any action for the day and thus no reason to continue living. They didn’t die because of wounds or injuries, their life just ended. Do you prefer to wake up full of energy and enthusiasm or reluctantly crawl out of bed? Goals give you just that – a reason to get out of bed. But not only a reason, a very good reason, that fuels your body and you are more enthusiastic and energetic. Your energy level is highly increased if you have interesting and bold goals. The doctor came and told us the news. I can tell you… in this situation going to work and performing day-to-day tasks is very hard. Your mind constantly wanders off to the big issue. We all go trough tough times in life. But having a good goal setting system that can bring you rapidly back on track is essential. It was essential for me. I already had the habit of weekly progress and the GoalBuddy system set. So I chose the next steps which were very small and completed them. I felt an instant sense of control and confidence that I can deal with the toughest issues. 4. Life doesn’t just happen to you, you make life happen as you want it to be. Goals provide vision and direction in your life. You start to find the meaning in your life. Day to day life takes over and we are constantly busy, but not making any major progress, because we forget about the big picture. 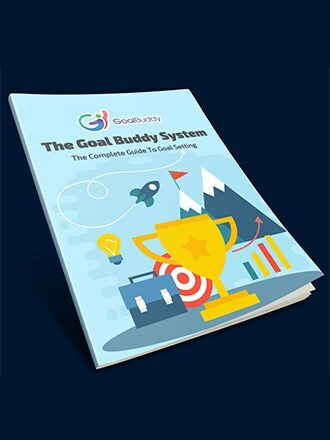 A good goal setting system like the “Goal Buddy” system focuses on the big picture and the daily tasks which are aligned with your SMART goals and long-term vision. You have 3 choices in life. You can watch things happen, make things happen or wonder what the hell happened. You also feel that you are in are control of your life. There are more than one studies that show a clear correlation between the sense of control and happiness. Simply said , we are less happy when we that our destiny is already written. And, we are happier when we feel that we can control the outcomes. When you set and achieve goals you have the sense that you can direct your life in the direction you want. You stay motivated by remembering the big picture. You know you can create your future. For people without goals, the future is an extension of the past. Goals give you the opportunity to create a new future and to focus no what you want to create. Focusing on what you want brings it in your life. You are probably aware of the law of attraction. Think about negative stuff and you constantly get negative things show up. Think of positive stuff and you will get more positive thing happen. It’s the same with goals, if you constantly focus on your goal – you will find opportunities to achieve it. Your mind doesn’t even know that this potential exist. With each goal setting cycle, you adjust slightly the course of your life and start to find your path. You start to find the meaning of your life and your heart leads you there. The types of goals that are important to you and the projects you want to accomplish are unique. You will start to learn a lot about yourself. You wake up and start to re-connect with your true self. Initially, I wrote, “you become a better version of yourself”. I think you always were yourself, but for some reason because of the society and other factors you can forget who you are and you change in a way even you don’t want to. Goal setting is an easy way to have the freedom to be yourself. – Depends on where you want to go – answers the cat. – I don’t know where I am going – says Alice. – Then any road will get you there. Having goals means you know where you want to go. Last week I was offered a CEO position of a very, very interesting technological startup that has the potential to solve some challenging problems and go global. It was a good offer, but I said “NO” and I am confident about my decision. I used something I call “The focus filter”. It is simple, yet powerful. In today’s world full of distractions, we are overwhelmed with options. And the more successful you become, the more options you will have. Feeling overwhelmed is never a good state to be in. Is this aligned with my long term goals? In the past, such decision would keep awake me for weeks and I would constantly think about it during the day. And If I would decide to say “no”, then I would come back and rethink if it was the right decision and regret that I would be missing on something. Now it’ clear – I can make a fast decision and never reconsider it. But I wouldn’t be able to do that if I don’t have long-term goals. Now, in an overcrowded world, a world full of options – you can focus on what matters to you. Set some challenging goals and decide on a list of next action that you must complete them no matter what. The goals should be very important to you and all of the next actions for the week should move your goals one step forward. It’s even better if also some of the small next actions are challenging and you are not quite sure you can complete all of them during the current week. Then complete all of them, no matter what happens during the week and observe your state. You are uplifted by the achievement and your confidence goes trough the roof. Nothing boosts confidence more as achievements. There is no doubt abut it – confidence is one of the most important things we must have in life. Confidence is required for taking on tough challenges. If you have confidence you can accomplish anything. You either win or you fail … learn. So don’t put yourself in a bad state if you can’t complete all of the tasks some of the weeks. By the way, the accomplishment of a goal releases chemicals in your brain and you feel the urge to set another set of big goals for next week. That’s why the more goals you complete, the more motivated you will be for next week’s goals. Is there a goal you constantly fail achieving? Are you setting stretch goals or easy goals? Are you procrastinating on one goal or … on all goals? If you look back and answers these questions you will learn so much about yourself…. Setting goals, achieving goals and even failing goals helps you learn… learn about yourself, learn about others. And this helps you learn, change and grow. If this sounds like something of interest to you, just start today with some progress on your goals. open minded to learning more. So grateful as I need to influence others too. Grateful. I came across about 30 minutes after making the decision that I needed to learn more about the goal-setting process and I must say you simplify this so well that I got excited just reading your words. 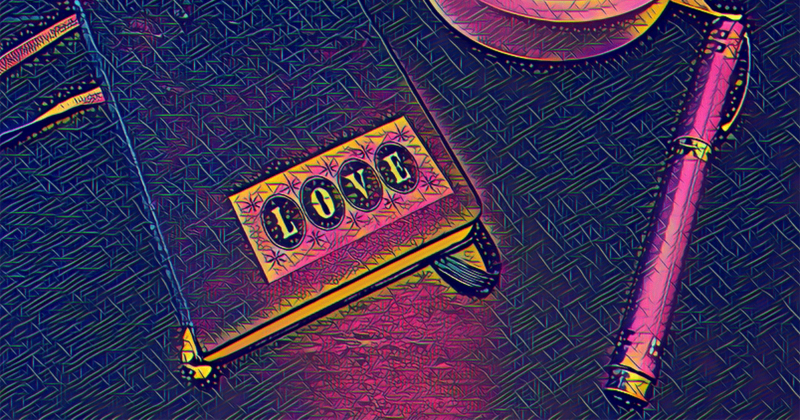 Today has truly been an awesome day and I know I will thoroughly enjoy taking my goal setting steps with the help of your guide. You guys are the best. Thank You. Hye Makeda, thanks for the awesome feedback! Great to hear you are interested in the goal setting and I believe you will find a lot of useful information here. Wish you successful goal setting and achieving!